Norma receives Environmental Innovation Prize! 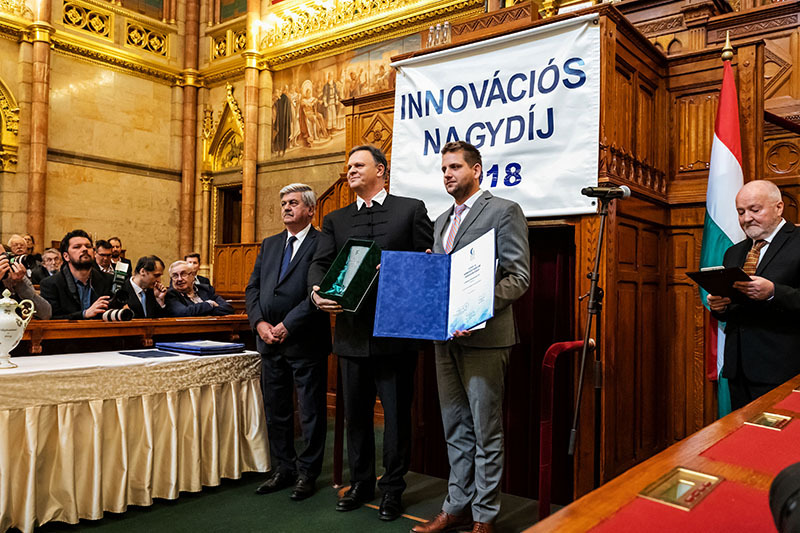 The Environmental Innovation Prize and other six innovation awards including the Innovation Grand Prize are given to those Hungarian based companies who achieved significant business benefits through outstanding technical and economical innovation performance in the year preceding the award ceremony. 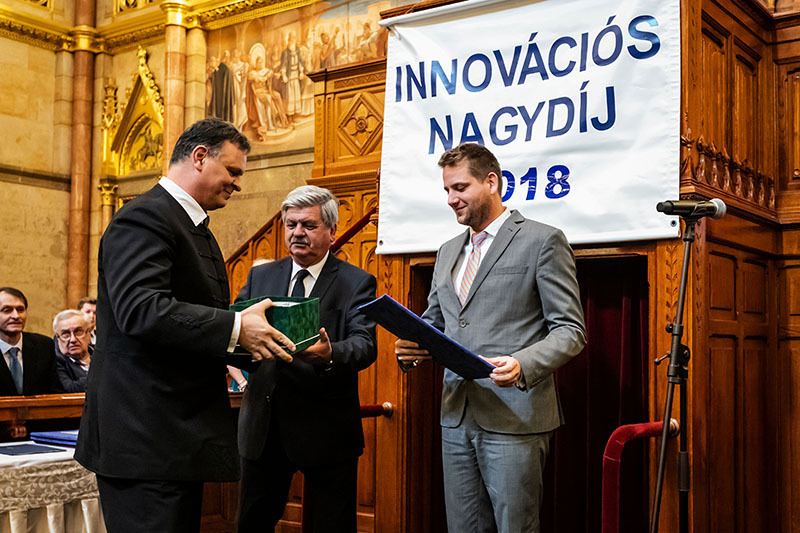 The 27th Innovation Grand Prize was organized by the Hungarian Association for Innovation with close collaboration with the National Research, Development and Innovation Office, the Ministry of Agriculture and the Hungarian Intellectual Property Office. 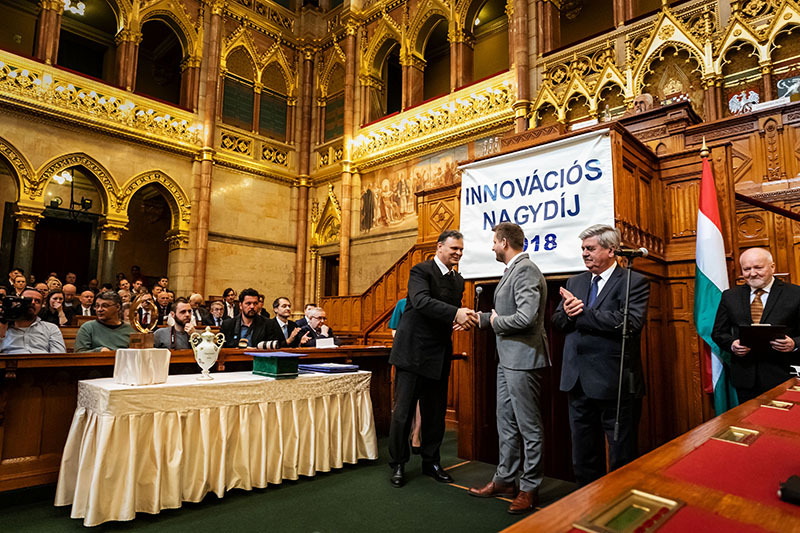 The award ceremony was held in the Hungarian Parliament on the 28th of March 2019, where Mr. Gergely Horváth, Norma’s Chief Executive Officer, received the award from Mr. Sándor Farkas, Parliamentary State Secretary, and Mr. Ádám Szigeti, Deputy State Secretary. less paper is used by end users. We will continue our unique innovations and developments to build a better future.